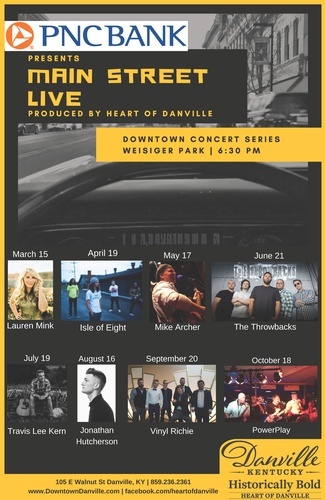 Get downtown every second and fourth Thursday for Main Street Live, starting May 23! Join your closest friends for live music, local fo, d and beer, for the best event in town. The event takes place at Weisiger Park, in front of the Boyle Co. Courthouse. The party starts at 6:00pm, with live music from 6:30pm - 9:00pm! Don't miss out!